According to Statistics Canada, canadian debt has increased by 23% over ten years ago. This situation may seem alarming and worrisome because the debt ratio keeps on growing, but in itself, it is not that dramatic if you know how to get out of debt or how to stay out of debt. However, the most important thing to do when you have a debt repayment is to pay it off as fast as you can, especially when you are about to retire. The reason is simple: when you retire, your income drops and after the taxes, your net income is much lower than during your active period. But life is unpredictable, you never know what is coming. Some people find themselves in debt so late in their life because they had children late, they are divorced or they have to buy a new house because of a separation. But it is still possible to get out of debt. Here are a few pieces of information that could help you start peacefully your new retiree life. Retirement is that one thing you have worked your entire life for. It really is something each of us has been expecting for a long time. In a way, after an entire life devoted to hard-working, a comfortable retirement is the long-awaited holy grail. Just like most of the pre-retirees, it is highly possible that you accumulated a debt all along your life. It is essential for you to know how to get out of debt before your retirement if you want to fully enjoy it in the way you planned it. The consumer debt has risen in a considerable way in Canada during the last decades. The reason is probably the increase in the use of credit cards. We will discuss and detail further this issue in this article. The debt repayment of retired people has become an important issue since it often leads some of them to retire later than what they planned, aiming at earning the most money they can before their retirement. 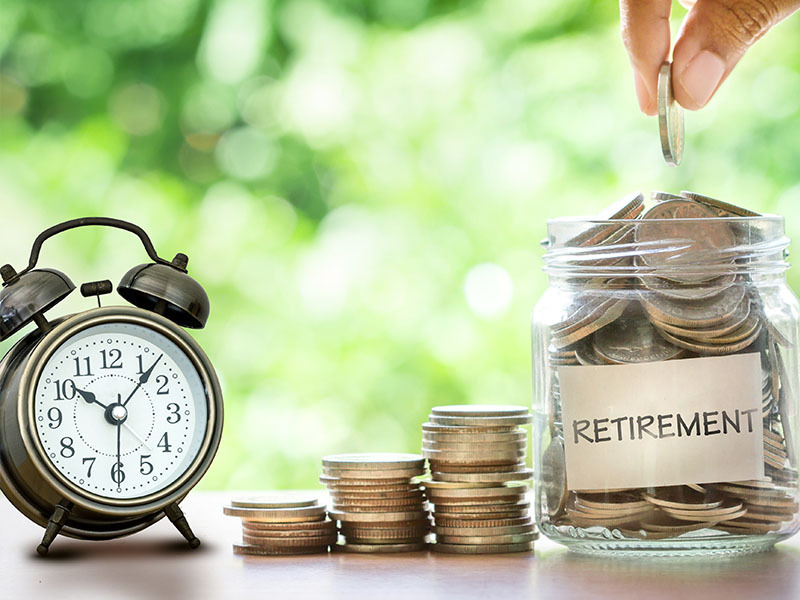 People are now concerned with the question “Can I afford a retirement?” This period of your life should be all about rest and enjoyment and should not be ruined with that kind of doubts. The most important thing is to react even before your retirement, everything has to be planned. Do not hesitate to review your overall situation in order to estimate the amount of money which need to be saved for you to live a peaceful retirement and to anticipate the next step of your life in the best way. To clear everything up, you should start by making sure that you have an overview of your debt and that you are not completely overwhelmed with the situation in order to facilitate the debt repayment. Being totally conscious of your situation will help you to establish an order of priorities. Indeed, it often occurs that people cumulate various loans. The most important thing to do is to repay the minimum amount of money off each loan every month. This will save you additional credit costs. People often start getting in troubles when they accumulate delays. But if you only pay the minimum amount each month, you will also considerably slow down your debt reimbursement and get bigger interest charges. However, once you have paid the minimum that you have to reimburse each month, then, you can consider repaying an even higher amount of money. Of course, this is possible only if you can afford it. If you can reimburse more than the minimum amount of money you had to, the rule is simple! You absolutely have to pay back the loan which has the highest interest rate. In that way, you will not increase the amount of the loan because of the important interest rates and this will allow a faster debt repayment. Then, when a loan is entirely repaid, you can increase the minimum amount of money off your other loans. In that way, you will get out of your debt even faster. Another way to get out of debt fastly could be to ask for a lower interest rate from your money lender. He could possibly refuse it but if you have always had a good conduct, you can succeed in convincing him. If you have a good credit rating history during the past years it is easier. For example, you have always paid back right in time your monthly fees but also, you have always used your credit card in a reasonable way. This could allow you saving a small amount of money every month and at the end, you will reimburse a much less important amount of money. Finally, you could also be tempted to hesitate between saving for your retirement or focusing on your debt repayment. Our most precious advice would be to pay back first, so you will be able to start saving. You need to keep in mind that if you retire and still have a debt, your retirement will never be the way you imagined it. Discovering new activities and traveling could be really hard to afford if you still have to pay back your mortgage debt or your credit card debt. Moreover, you would not like your children inherited only debts. We advised you earlier to try paying back more than the minimum amount every month. This will be possible only if you have extra money. Getting this extra money will be easy if you start saving in your everyday life. We promise you that reducing your monthly budget is easier than what you imagine. You could start with going less frequently to the restaurant. A homemade dinner will be much less expensive for you and as good as at the restaurant if you are a good cooker! You can also try to have a movie night at home rather than going to the cinema. Even small savings such as the morning coffee that you buy every day are essential. Overall, every area of your household spending could be reduced if your entire family is devoted to helping you get out of your debts. Reducing your budget will even be easier if you organize your monthly budget and stick to it. There is one more thing in your everyday life that should be reduced: the use of the credit card. People tend to use it easily but the most reasonable way to act is to try at most to use the debit card or to pay cash. Indeed, a credit card is not the best choice for your daily expenses because it will only increase the total amount of your debt. Think of using it only when it is absolutely necessary. If the situation occurs that you have to use the credit card, make sure to reimburse entirely the account balance the next month. When all of your loans will be reimbursed, then you can start using your credit card again but still be cautious. The debt consolidation: a solution to get out of your debt? Have you ever heard about the debt consolidation? This could also be a great way for you to get out of debt before retirement. The point of this method is to gather all of your loans in only one. The best advantage of this solution is that you will pay much less in interest rates. We advise you to contact a lending institution to study this issue. It is important to know that a debt consolidation requires some conditions. Usually, an institution will allow you a debt consolidation only if this one is not too heavy. You will also have to prove that you have the ability to pay back every month to a total amount of this gathering of loans without using your credit card in an excessive way. However, it could be a possibility that you are not admissible to benefit from a debt consolidation situation. Dealing with a debt is always a difficult situation, do not be afraid to ask for help. This person can be a financial advisor, but it can also be a friend who has already get over this issue. With all of those pieces of advice, we sincerely hope that you have understood how to get out of debt and the importance of doing it before the time of your retirement. With the greatest determination, you can easily save in your everyday life in order to repay all of your loans right on time to enjoy a peaceful retirement. Previous Previous post: Canada student loans: How to repay it fastly?